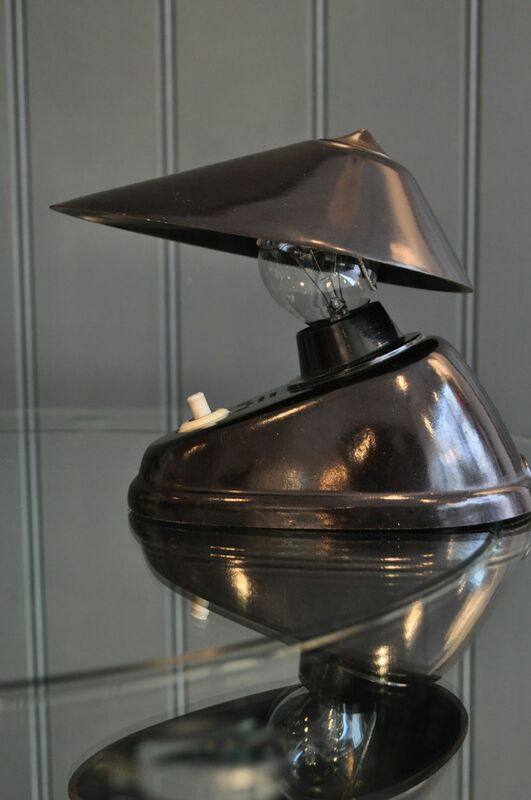 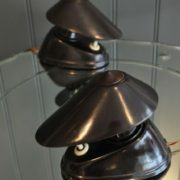 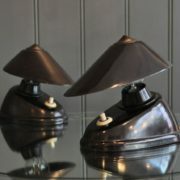 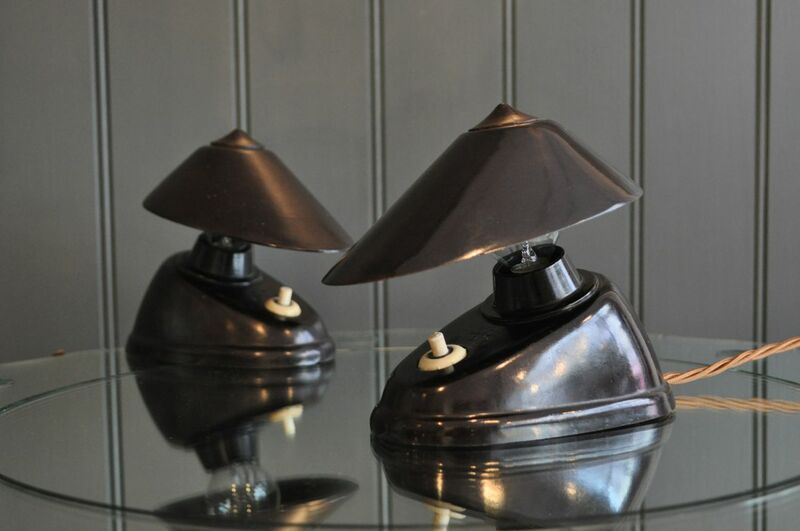 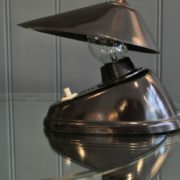 Continental bakelite lamps with shades that can pivot around the bulb. 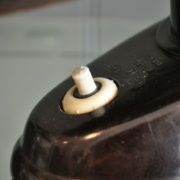 Two matching available, with just the most minor of damage to the bottom edge of one lamp: all but invisible – please see pics. 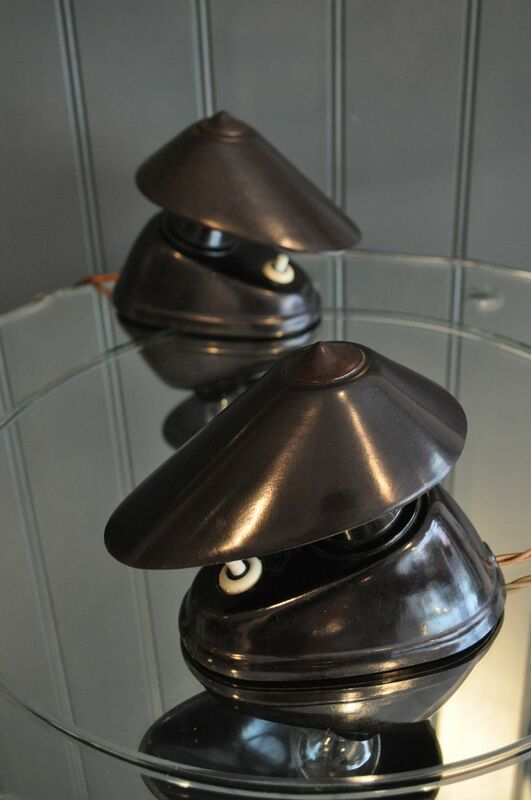 Original working switches, and rewired with braided flex and black plug. 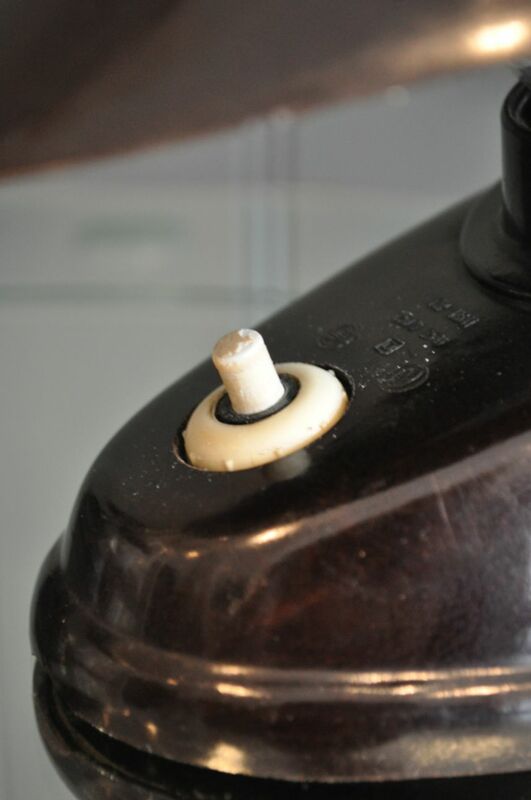 Accept small ES bulbs. 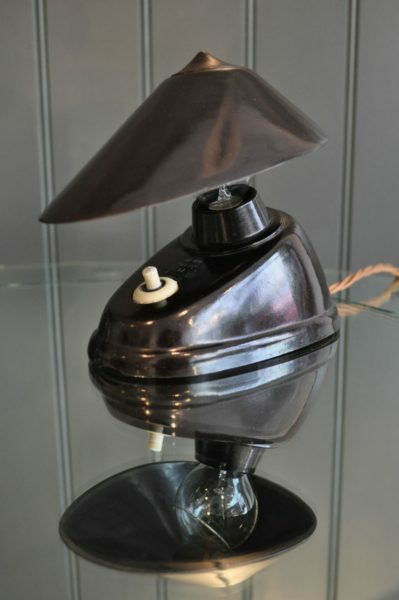 Price is per lamp, and happy to sell individually.